Thank you for c﻿﻿hoosing our cemetery as the place of rest for your family member. It is our wish to provide you with the best level of service we can, to meet your needs, within the parameters of the rules which meets the operational needs of the cemetery. The rules we have, have been developed over the last 120 years to enable us to operate the cemetery in the fairest manner possible to all parties. Payment: The plot and the digging fee (or just the digging fee for a reopen) must be paid, in full, a minimum of 24 hours prior to the burial taking place. i.e. a burial scheduled for Wednesday at 2 pm, must be paid no later than Tuesday at 2pm. Unless full payment has been received the grave will not be dug on the day. Forms of payment: Direct Credit, Cash, EFTPOS, Visa, Master Card, or Bank Cheque. Please note that we are unable to accept personal or business cheques, and that some EFTPOS and credit cards have a daily limit. Booking: The booking must be made, a minimum of 24hrs in advance, the booking application must be completed by your Funeral Director. Funeral Director: A recognised Funeral Director must be in attendance at every burial. Our attending staff will only take instructions from the Funeral Director. Plot Choice: We do not allocate plots; you will need to choose your own plot (with our assistance). Plot decorations: We are a Lawn Cemetery, and therefore do not have any decorated plot areas. New plots that still have the earth mound may be left decorated until the plots are levelled and re-grassed. This occurs 4-6 weeks following the burial. Any decorations that are removed by our staff will be bagged and stored for one month awaiting your collection. After the one month period, if uncollected, they will be disposed of. Marquees, grave tents: These are not permitted for safety reasons. The cemetery is an open space and at times can be quite windy. Guy ropes are trip hazards, and we have had people tying guy ropes to other families’ headstones! Sand: For operational reasons, families’ who wish to supply sand for back filling are advised that we are only allowed to use a maximum of 10 bags per plot. Glass or china grave decorations: Please note that no glass or china ornaments are allowed, and no responsibility is accepted by the Trust Board for any damaged items. Glass flower ornaments are particularly dangerous and will be removed. Headstones: Only approved monumental masons may supply and install headstones. 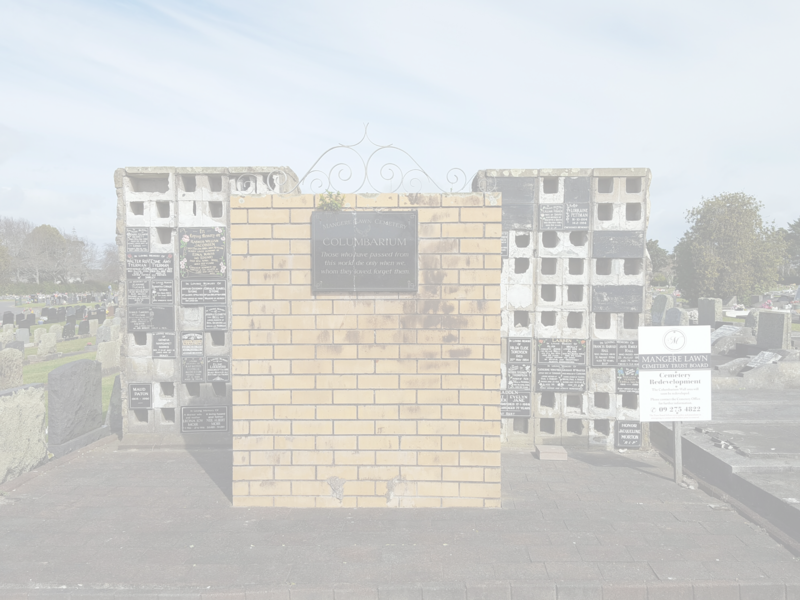 Any unauthorised headstones will be declined, and/or removed from the cemetery and costs incurred will be charged to the family. Unveilings: Must be booked at the cemetery office. All burials take precedence over unveilings, and we need to manage grave preparation around your unveiling as well. We also have rules that apply to all cemetery users and visitors.